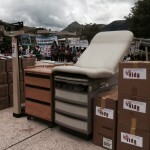 Two Million in Medical Supplies Reach Medical Facilities in the Andes! VIDA continues to aid regions impacted by the various natural disasters that have hit Peru over the past decade. Recently. VIDA partnered with Peru’s Ministry of Health and the military to airlift medical aid to benefit thousands of families in the region of Tambo, Ayacucho. 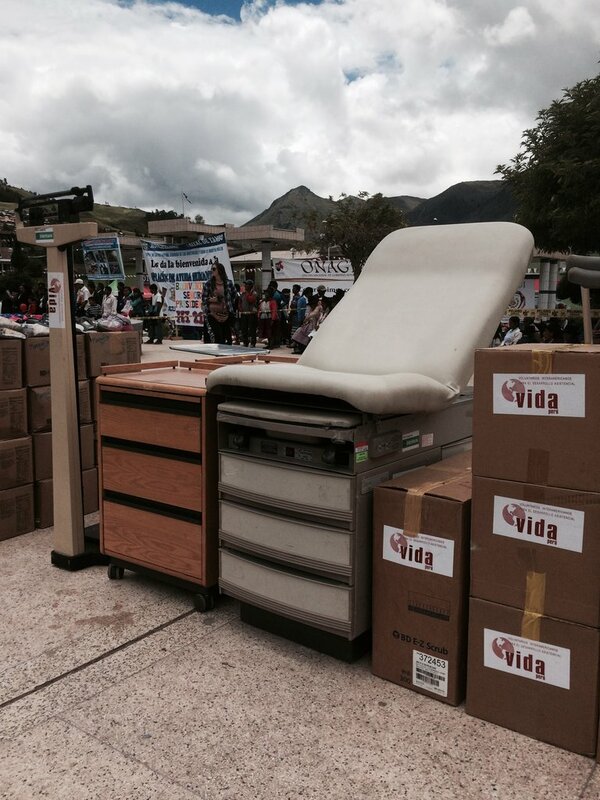 In addition to the medical supplies, VIDA has also shipped beds, exam tables, and over 50 office chairs to outfit the outdated hospitals. VIDA has also sent four containers to Arequipa to be distributed to Peru’s Altiplano that is home to alpaca herders. The program is a collaboration between VIDA and alpaca designers KUNA nd The Sandra Jordan Collection and the non-profit group Queachua Benefits. The program is also made possible by the generous funding of transportation and logistics by Otis McAllister Inc.
VIDA is working with a variety of hospital and small clinics by providing hospital beds, exam tables and other equipment and supplies. The containers are shipped to Lima and then trucked eight hours to Arequipa. From Arequipa the remaining donations are then sent to Puno and finally the balance of the donations are dispersed throughout the Altiplano. These shipments total in excess of $2 million. No Comments to "Two Million in Medical Supplies Reach Medical Facilities in the Andes!"